The Beat Goes On in Sonoma Happy Friday! 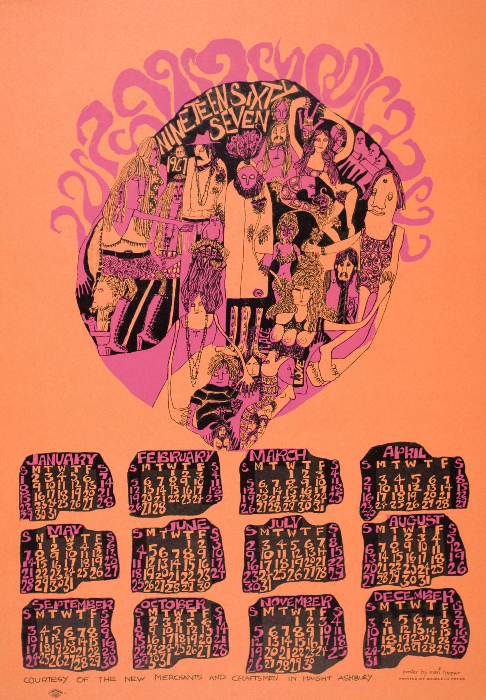 Earlier today, a member of Expresso Beans named madamburnside posted a 1967 calendar/poster by Mari Tepper, who was a welcome presence at our 2016 Festival of Rock Posters in Golden Gate Park. As madamburnside pointed out, Mari’s 1967 calendar syncs perfectly with the days of the week in 2017, which is almost as cool as Mari’s artwork! We’re looking forward to seeing Mari—and everyone else—this year during our special 50th Anniversary of the Summer of Love shows. Details to follow, but in the meantime, you can use Mari’s calendar to count down the days.